What a difference a week makes! Finally our trees are bursting with color here in Missouri, our temps are in the 60’s (today any way) and it’s feeling like fall! Going through last week’s linky party gave me chills. 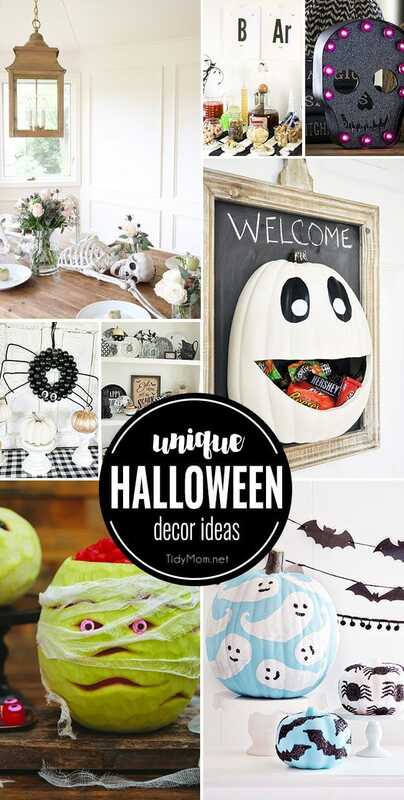 😉 From skeletons on tables to a watermelon mummy I saw so many Unique Halloween Decor Ideas that caught my eye! You’re sure to find something to haunt your house for Halloween. 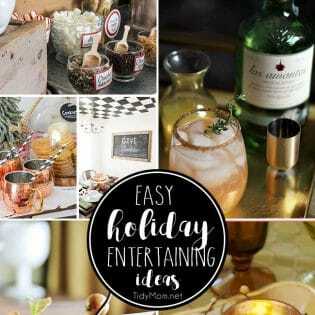 This is week 329 (6.5 years) of hosting this weekly linky party, I’m Lovin’ It. I’m amazed every week at all the creativity out there!! Each week I feature some of the posts that caught my eye from the previous week. Please take a moment to visit the featured blogs ……..then scroll down to see what’s being shared this week and feel free to link up what YOU’VE been up to and click around to visit some of the other sites. ** if you’re reading this via email or reader, be sure to click through to the web to see all of the linked projects and more! 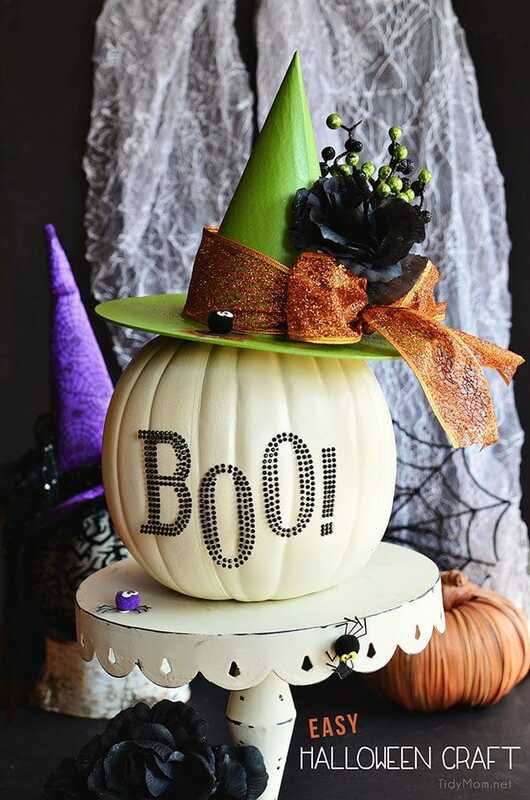 More Unique Halloween Decor Ideas, Treats and More! 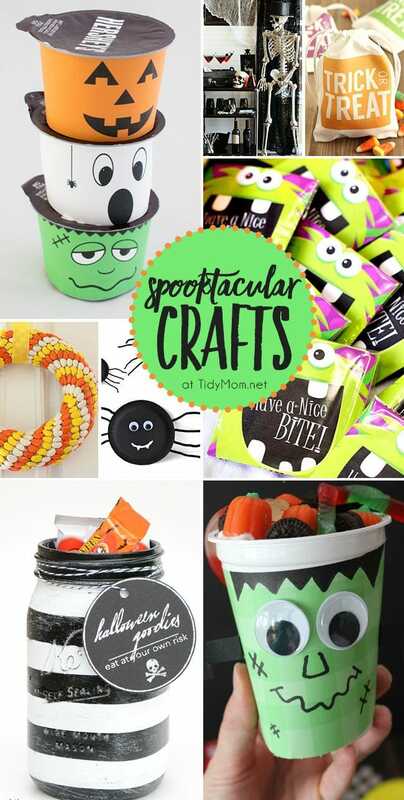 Fun, easy and non-scary Spooktacular Crafts to make for Halloween! 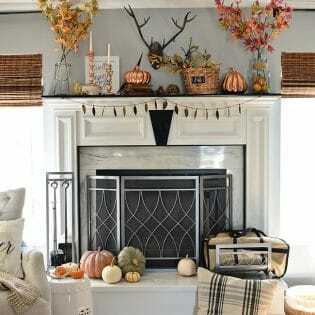 Fall Mantel with touches of copper. 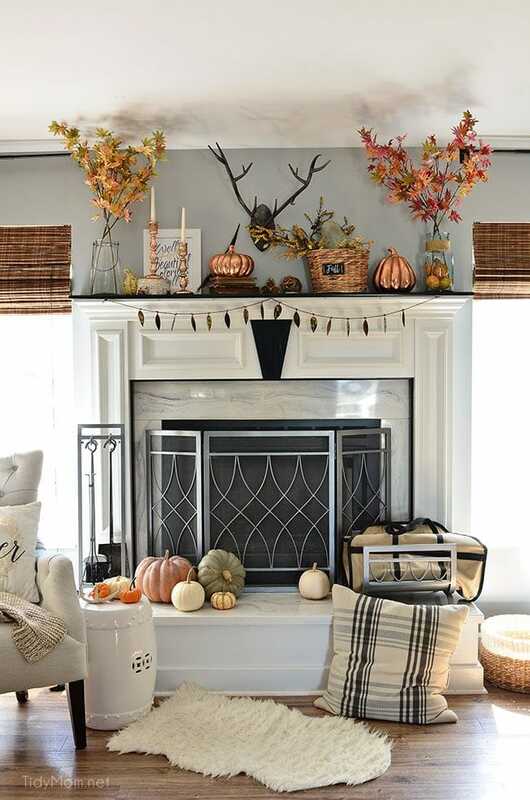 Have a FABULOUS FALL WEEKEND!! What is I’m Lovin’ It Fridays? get all the info here *All photos submitted to the I’m Lovin It linky party, grant the rights to display their photo on this website and other sites I write for. Proper credit will always be given. TidyMom is not responsible for stolen images or the mis-use by others who have found your image through TidyMom.net. Thanks so much for the spooky party, Cheryl. Have a wonderful weekend! Our temps are supposed to drop out of the 90s this weekend and we’re all so excited! Have a great weekend! Another fun party! Thank you for hosting again this week! Sharing with your party this week a fun laundry room printable that I think you’re all going to love. Enjoy! 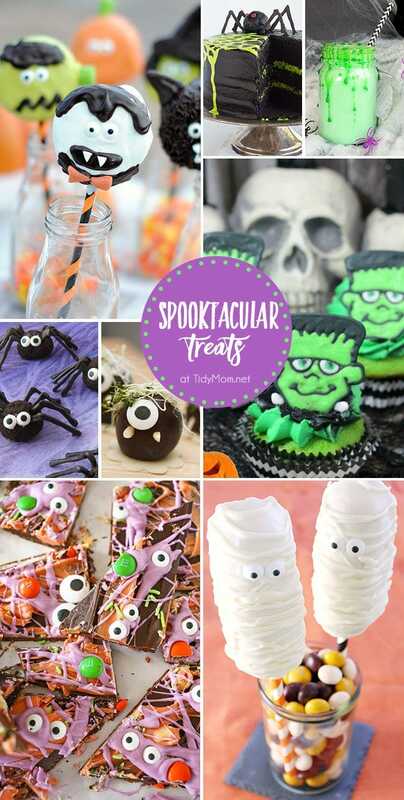 Hello, this is my first party and I´m so happy to participate with my -Owls to celebrate October – blog post! I’m just seeing this feature… thanks so much! I hope it inspired some of your readers to make their own Halloween watermelon mummy ?